Humboldt County, California is located on the far North Coast of the state. The two biggest towns in Humboldt are Eureka, the county seat, and Arcata, a small college town. The towns have some interesting Victorian houses located in their premises. This area is situated on the Pacific Ocean, and away from the beaches, the land is heavily wooded and full of Redwoods. For nature types, there are lots of great beach spots and parks for humans and dogs to explore. This state park in Eureka, California, used to be a remote military post established in 1853, to tend to conflicts that would rise up between gold miners and Native Americans. Today, it is a historic area that is situated on a bluff that stares into Humboldt Bay. Leashed dogs may walk around the outdoor areas, but cannot go in any of the buildings. 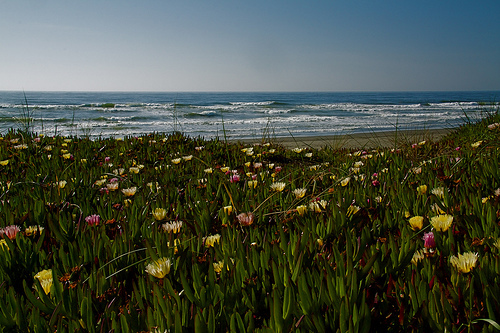 Samoa Dunes is located in Samoa, California, and is a park of over 300 acres. People like to drive off-highway vehicles around these dunes, but others go there for fishing, surfing, hiking, picnicking and other fun activities. Dogs can run around on or off-leash, but have to be under voice control. Those who let their dogs roam off-leash should have a leash handy. This national forest encompasses over one million acres, and there are many trails to hike with your leashed dog, many of which are accessible through Eureka. 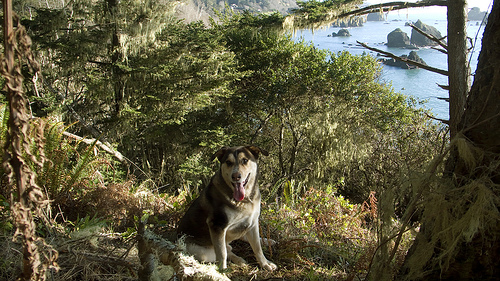 Many locals around Arcata, California, like to take their dogs on Hammond Trail. It goes over the Mad River pedestrian bridge and through some lovely beaches spots, and is a 5+ mile distance. Dogs must be leashed. 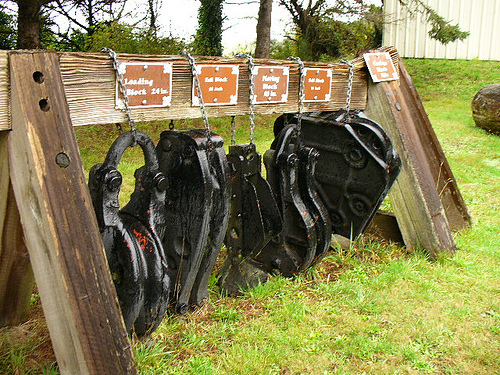 Hiller Dog Park is located in McKinleyville, California, and features forest, meadow and ocean. It is not fenced, but there are nearby restrooms, benches, waste bags, trash cans and a water fountain. 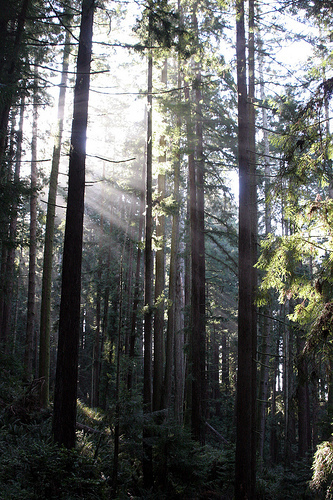 Arcata Community Forest encompasses about 790 acres of woodland with lots of Redwoods. There are 18 trails, which are up to 2 miles in length, and leashed dogs are welcome to hike with their owners. Hana Sushi is a restaurant with assorted Japanese food, and is located in Eureka. Leashed dogs are welcome to sit at the outdoor tables. Los Bagels is located in Old Town, Eureka, and also in Arcata. They bake all sorts of bagels, breads, muffins, danishes, empanadas and other pastries.